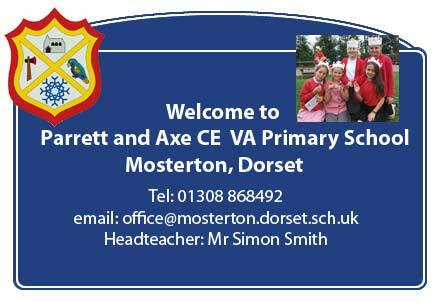 Welcome to the headteacher’s blog. Here I will be sharing news and views and setting questions for the children to win a prize. The process by which plants make food is called what? Which is the famous rugby union competition that starts this weekend? What music is played at important national occasions and at events attended by the Queen or the Royal Family? Sorry for the missed Blogs but here we go again! A local question to get you going again. Who was the first English Prime Minister? What is the name of the best preserved prehistoric village in the United Kingdom and which origin traces back to the Stone Age? Which explorer discovered the tomb of Egyptian pharaoh Tutankhamun? Workers of which profession went on strike from 1984–1985? What was the name of the estate in Buckinghamshire where the German Enigma machine code was cracked? In WWII, which type of air raid shelter was inside the house, rather than the garden? Which crop failure caused the Irish Famine from 1845–1852? Where was the Titanic meant to be sailing on its maiden voyage in 1912? Who was the queen of the Iceni who led an uprising against the Romans? Which royal house was William the Conqueror from? What was the capital of England before London? Which sport is Wimbledon famous for? When did London host the Summer Olympic Games? Which English football club has won the Premier League the most times? What is the nickname for London’s underground? What was JK Rowling’s job before she wrote Harry Potter? A big welcome back to everyone. It has been wonderful to see our new reception class settling in and already enjoying school. I will be doing questions again this year, so remember to get a sticker you need to research the question and then see me the following morning for a sticker. What is the name of Prince William and Kate’s eldest child? Who said “never in the field of human conflict was so much owed by so many to so few”? I would like to take this opportunity to praise our Year 6 for their wonderful SATs results, you have done the school proud. Aside from English, what language is most widely spoken in Scotland? Who wrote the poem “She Walks in Beauty”? What a wonderful day Friday was. The sports day was a great success, a big thank you to Mrs Harris and her sports ambassadors, parents for supporting the event and the children for taking part and cheering each other on. I hope you were as impressed as I was with their attitude and sportsmanship. We then had the summer fete which thanks to hard work of our PTFA and willing volunteers was a spectacular success. A real team effort yet again. Remember these events do not organise themselves and the PTFA are always on the look out for new recruits. So your school needs you! When were England last in a World Cup Semi Final? What was the name of the largest rebellion ever faced by a Tudor monarch? What did Owain Glyndwr famously do? Who commanded the New Model Army during the English Civil War? Who is the shortest-reigning monarch in British history? What a beautiful day here in sunny Mosterton. Remember sun cream, sun hats and water! Who was the target of the Gunpowder Plot? Which boffin broke the German codes at Bletchley Park during WW2? A lovely day in school today as we welcomed our local church in to lead our ‘Prayer Space Day’. The children thoroughly enjoyed their different activities and photos will appear on the website soon. Which Scottish King supposedly learnt the art of patience from watching a spider building a web? Which British monarch was formerly known as the ‘Prince Regent’ and lent his name to the ‘Regency’ period? Which Prime Minister led Britain to victory in WW1? A World Cup themed question for you. What is VAR and how is it being used in the World Cup? Who is the only British Prime Minister ever to be assassinated? What a wonderful time I has with Year 5 yesterday at Weymouth Outdoor Education Centre. Yet again, the children were a credit to the school and they really enjoyed it. It was great to see children overcome initial fears and succeed. When did ‘bad’ King John come to the throne? Which monarch succeeded Queen Victoria? In what year was the Battle of Waterloo? Which Suffragette threw herself under the King’s horse at the Derby in 1913? Answers to me please. Who was Henry VIII’s fifth wife? Answers to me please. Who was the last King of England to die in battle? Answers to me please. Which king defeated the Vikings at the end of the 9th Century? Answers to me please. Which monarch was defeated by Oliver Cromwell in the English Civil War? Answers to me please. Which monarch established the Church of England? Answers to me please. What title do Harry and Meghan now have? Answers to me please. It was lovely to see some you after school on Friday for the ‘Action Van’ event organised and paid for by the PTFA. I would like to thank the PTFA for again organising a successful event that was enjoyed by everybody who attended. We sold ice creams to raise money for schools I Malawi and I will let you know the final total soon. What a busy week. Well done to our Year 6 children who performed heroically during their SATs. They all worked very hard and we are so proud of them. I hope to see you all at the PTFA Action Van Event this afternoon straight after school. The questions for the weekend, you have a choice. Who will be Prince Harry’s Best Man at his wedding? Which teams are in the FA Cup Final on Saturday? Where does the Chancellor of Exchequer live and what is his name? Answers to me please. What are the names of the Queen’s Corgis? Answers to me please. Where are Prince Harry and Meghan Markle getting married? Answers to me please. Who is the leader of the opposition? Answers to me please. I have today sent out a request to all parents to help us develop the outdoor environment of the school. Your help would be greatly appreciated and together we can create an amazing outdoor space for the children to enjoy and learn new skills. What is the Victoria Cross and when was it first awarded? Answers to me please. Who is the Archbishop of Canterbury? Answers to me please. Who is the new Home Secretary? Answers to me please. Can you name the capital cities of England, Wales, Scotland and Northern Ireland? Answers to me please. Who was the first Tudor king of England? Answers to me please. It’s Friday! Enjoy your weekend. Today’s question: Who were the two sides in the War of the Roses? Answers to me please. Sorry there was no question yesterday, internet issue. Today’s question: What year was the Magna Carta signed? Today’s question: What is the royal family’s surname? Answers to me please. Today’s question: Who is the head of the Church of England? Answers to me please. What a proud head I was yesterday as our Year 3/4 football team won the Colmers Cup winning every game that they played. Today’s question: This weekend we will be celebrating the patron saint of England, what is his name? Answers to me please. Today’s question, who is the second in line to the throne? Answers to me please. Who is our local MP and which party does he represent? Answers in the morning please. Well our trip has nearly ended and what a wonderful time we have had. The children have been a credit to our school and have really grown up and into the week. The never give up attitude was there in bucket loads yesterday as the children were surfing with big waves and a cold wind, nobody gave up and I was very proud. The disco was fun and even some of the teachers showed their best moves. At the moment the rain is pouring down for the last activities but the children went out with big smiles, I think that says it all! Well, what a day. Surfing, climbing, camp fire and toasted marshmallows. The children are having a great time and hopefully tonight a good sleep! Good morning from a wet and windy Cornwall. Today, the children will be experiencing a full day of activities including surfing and coastal traversing. All children slept well and are looking forward to breakfast. 26-03-18: Year 6 have had a wonderful first afternoon at Widemouth Bay. Two brave groups have taken the plunge body boarding in the Atlantic. Mr Harris and I won the archery contest. Everybody is looking forward to dinner. 23-03-18: Congratulations to our Year 5 and 6 children who performed at the Beaminster Singing Festival. You all made me very proud and I know that everybody was impressed with your performance of Food Glorious Food. Today’s question: Why did Jesus travel to Jerusalem on Palm Sunday? Answers on Monday to Mrs Lovering as I will be on the year 6 residential. 22-03-18: Good luck to our Year 5 and 6 children who are performing at the Beaminster Festival. I am know they will be great. Today’s question: Who was the first female prime minister of the United Kingdom?